Mark Penn made a shocking admission earlier this week while appearing on Fox News with Maria Bartiromo. The former Clinton Crony argued that the Mueller Report would say nothing about “collusion” because there was never any evidence of collusion to begin with! “On collusion, I think, ultimately, the report has brought not a single case related to that in any clear manner. So how could the report itself actually focus on that or find it? It can’t. Nothing was brought. So I think we know the conclusion. And we know also, increasingly, as these transcripts come out, that the underlying foundation for this investigation never really existed, that the Steele dossier was never verified, and never should have been the basis for this. MARIA BARTIROMO: Let’s bring in Mark Penn. He’s a former Clinton adviser and pollster. He’s also managing partner at The Stagwell Group. Mark, your reaction to Lindsey Graham blocking this most recent procedural vote? What’s going on in Congress these days? MARK PENN, FORMER CLINTON CAMPAIGN STRATEGIST: Well, first of all, not much is going on in Congress these days. There’s a lot more show votes than there are real votes on the matters that people want done. But I think Senator Graham here was really saying, yes, I want the Mueller report to be transparent, but I also want a second independent counsel to be appointed to investigate what was going on with the FBI and the DOJ during all of these investigations. And I think that’s the point he’s making. There’s obviously going to be and have to be significant transparency about what Mueller did. But, likely, there already is significant transparency, since Mueller has brought the cases that he’s going to bring. BARTIROMO: Right. And we have talked about this for a year-and-a-half, Mark. You have written about this a lot. 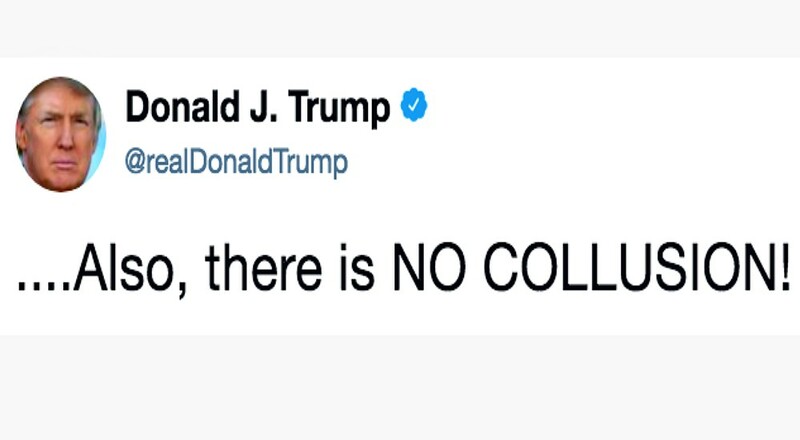 We’re not expecting collusion in the Mueller report. The Mueller report should be out in the next two weeks. What are you expecting? And what is your reaction to what you heard from Congressman Doug Collins earlier and Congressman Rouda? PENN: Well, look, what am I expecting? I’m expecting a report that dwells significantly on what the president did relative to the obstruction of justice. I don’t see obstruction of justice here, but I think the report could dwell on that. And then, on collusion, I think, ultimately, the report has brought not a single case related to that in any clear manner. So how could the report itself actually focus on that or find it? It can’t. Nothing was brought. And the firing of Comey that triggered the independent counsel also had no basis in fact or law to create an independent counsel. BARTIROMO: Yes, so the special counsel should never have been there in the first place. And we know how they handled the Hillary Clinton investigation. Jim Baker apparently testified that he wanted to charge her with gross negligence, but the DOJ said no. Your reaction to these directives coming from Loretta Lynch and Barack Obama’s DOJ? PENN: Well, the Lisa Page transcript really is quite stunning, because what Lisa Page is saying is that the Justice Department, before the investigation was really done, said that they were not going to prosecute. Therefore, the fact that Comey then says no one knows the conclusion, right, is a lie. It’s a laughing matter, because of course he knew the conclusion. The conclusion had been dictated before the investigation began. PENN: This is really significant testimony from Lisa Page. I don’t understand why the inspector general didn’t understand this.